People all around the world take photos of strange phenomena in the skies. Why are they appear and what is the meaning of them? The last event occurred in the skies over Slovakia on November 28, 2016 when a beam of light appeared on top of a cloud formation. 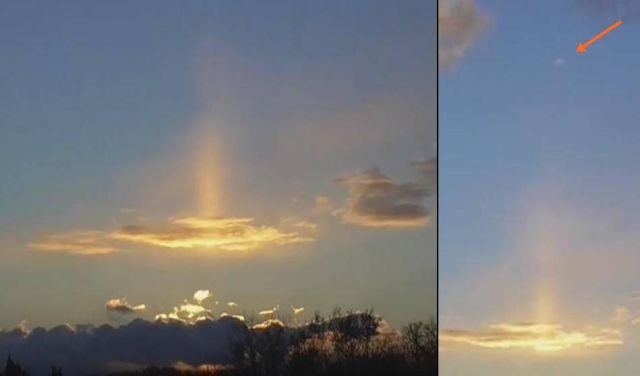 Maybe it is just a natural phenomenon, a reflection of rays coming from a light source behind the clouds, but it not explains the presence of a white sphere at some distance above the beam of light.